A necropsy on a 10-ft great white shark is believed to be the first live streamed online. 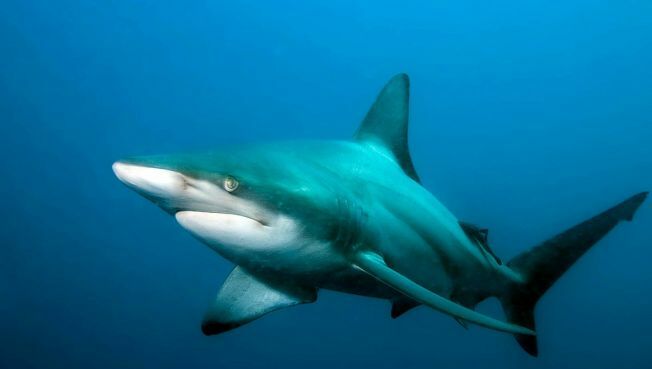 Marine scientists want to gut the 660-lbs shark to find about more about makes the animal tick. Anne Frank's step-sister survived Auschwitz as a teenager but it took her 40 years to reveal the tragic details of her family's story. A toy made by Mattel has a brain-scanning headset that measures brainwaves and turns them into energy. The mind game is intended to have players move a ball through an obstacle course using only their brain power. Darwin appears to have missed a species of pink iguana recently discovered on a volcano in the Galapagos Islands. The animals are a genetically-distinct species from their green counterparts. Psammophiles are growing in number. This community of sand collectors and appreciators argue that much can be learned about the world's beaches -- wave strengths, currents and physics -- from simple sand samples. Dunkin' Donuts launched a $100 million ad campaign promoting optimism by telling customers "You Kin' Do It." The "Kin Do" campaign has been in the works for six months but is even more timely in the wake of the Wall St. crisis.